Hi all. Nicole here with a layout using three cut files and the September Moon Child kit from Clique Kits. For this layout, I decided to use the cut-apart paper along with three different cut files from Just Nick Studio's shop. Normally, I would only use one or two cut files at the most, but if you are looking for ways to stretch your kit, use cut files! I've been wanting to try the Floral Burst Background cut file for sometime now. I really love it. 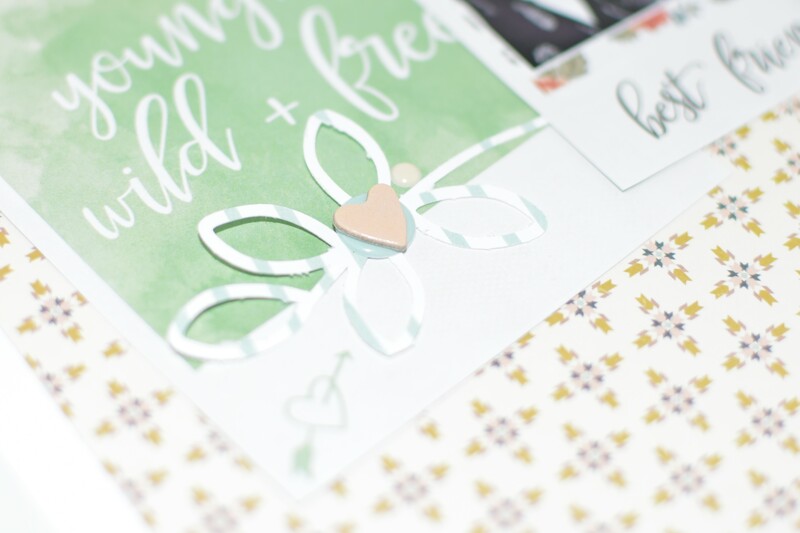 I used the Open Triangle cut file and the Stems cut file on the journaling card. 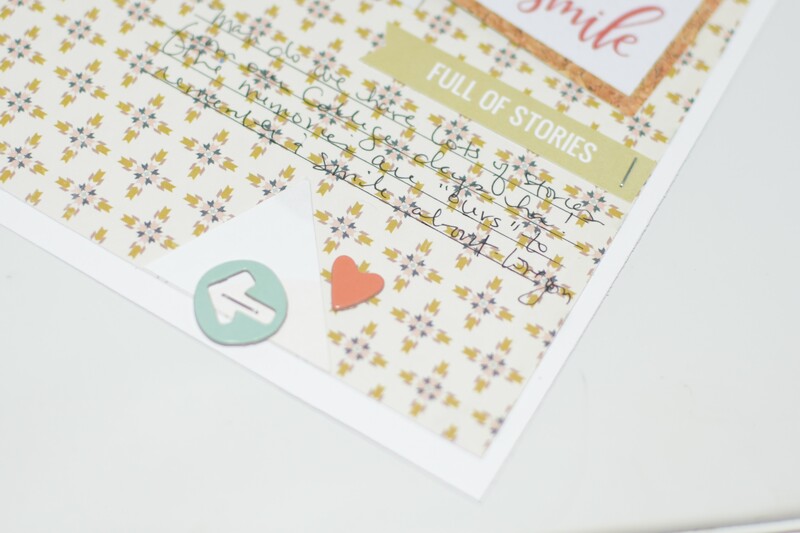 I decorated the center of the cut file using a chipboard heart and an enamel dot. 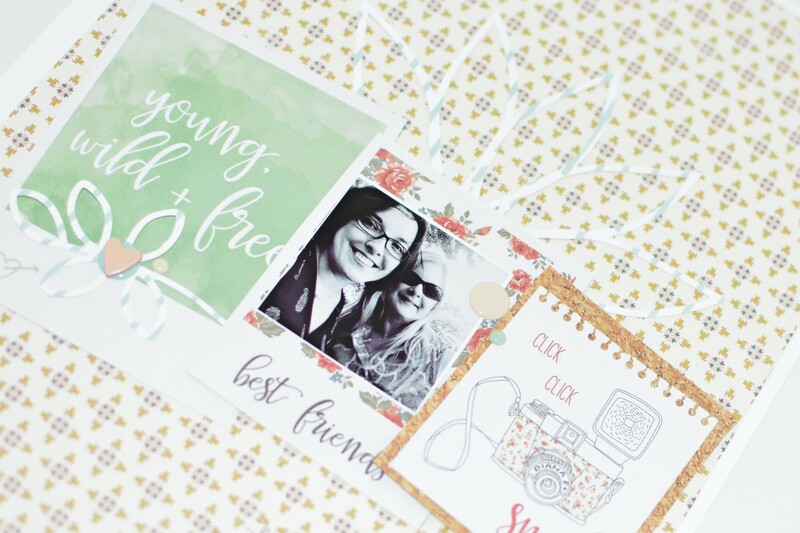 I tucked the Floral Burst Background cut file slightly behind my cluster of journaling cards. I used the cut-apart banner flag to help pull my journaling together along with a die cut triangle and some chipboard shapes.